Finding the ‘purrfect’ way to experience the Whitsundays just got easier thanks to a brand new partnership between Red Cat Adventures and Prosail Whitsundays. From Friday, January 18, these two established companies will join forces to offer visitors to the Whitsundays an array of complimentary products and services, all from a one-stop-shop on the main street of Airlie Beach. The range of tours on offer will include day trips to the Whitsundays’ hotspots on Red Cat’s high-powered Thundercat; fun, social sailing on the backpacker catamaran Tongarra; two-day, two-night resort stay packages with Ride to Paradise and Paradise Cove Resort; and two-day, two-night, or two-day, one-night adventure sailing trips aboard Prosail’s famous maxi-yachts Condor, Hammer and Broomstick. 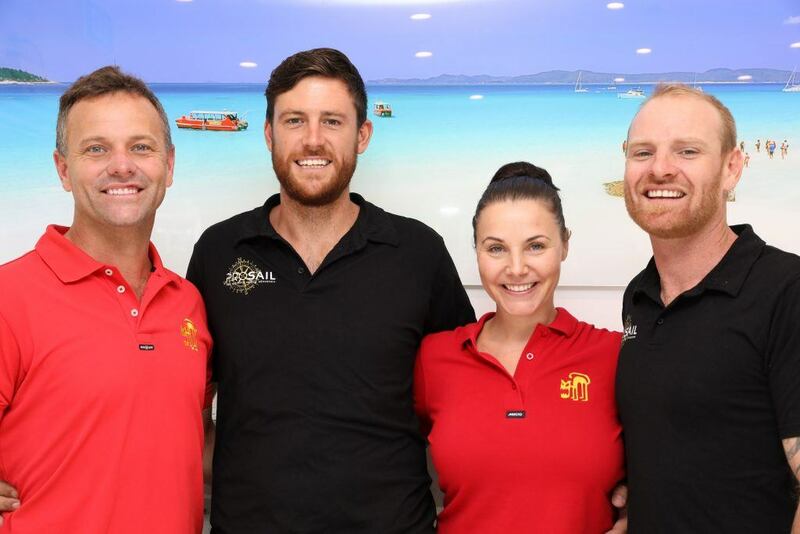 Red Cat Adventures directors Julie and Asher Telford said their company had been running its own reservations from the shopfront at 350 Shute Harbour Road since April 2018 and was more than ready to welcome Prosail aboard. “As a group we’re now capable of carrying 35,000 people per year into the Whitsundays’ section of the Great Barrier Reef Marine Park under the guidance of our 44 locally employed staff and crew,” Asher said. “Individually we’re strong but combined we’re going to be an even better option for visitors to the region and we’re excited to be working with Prosail on some fresh and innovative ideas for promoting the Whitsundays,” Julie added. For Prosail directors Josh Wilde and Tommy Gallagher, who bring years of sailing experience and local knowledge to the table, the partnership is about creating opportunities, identifying as strong brands and delivering a premium experience for guests. “Between our two companies we pride ourselves on customer service and we’re passionate about our products,” Josh said. ‘We’re proud to unite with a recognised industry leader in Red Cat Adventures, which will only help reinforce the way we already conduct business at Prosail,” Tommy added. From this Friday, Prosail guests will benefit from a premium, modern check-in experience at the Red Cat Adventures shopfront, which will also carry both companies’ signage and merchandise. All check-ins will be managed by Red Cat Adventures’ knowledgeable and friendly reservations team. For more information follow both companies on Facebook, Twitter and Instagram or visit www.redcatadventures.com.au and www.prosail.com.au.